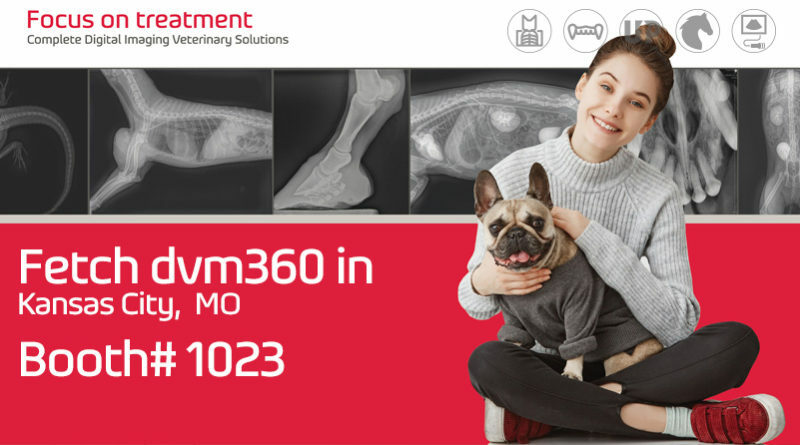 What Do 2018 Fetch dvm360 Educational Sessions, Customer Satisfaction, and MyVet Imaging Have In Common? When combined, all three can make your practice grow. The 2018 Fetch dvm360 educational sessions are packed with clinical and practice management tips developed to maximize your patient care skills across many key subject areas. And, as you apply these new skills, they will certainly result in more positive patient outcomes and greater pet owner satisfaction. Practices grow as customer satisfaction grows. MyVet Imaging complete line of digital imaging products support just about every imaging educational session at Fetch dvm360 by emphasizing improved X-ray imaging workflow efficiency for easily-acquired high quality radio graphic images that allow practitioners to focus more on providing optimal treatments rather than on image acquisition itself. MyVet Imaging will feature new high resolution EzSensor HD CMOS intraoral sensors coupled with the lightweight EzRay Vet™ Cart or the perfectly balanced EzRay Wall Mount X-ray systems. The variable SID i72w digital x-ray table with Cesium Iodide flat panel DR detector as well as a portable ultrasound system with single crystal transducer technology round out the imaging product portfolio. Stop by MyVet Imaging, Booth #1023, and let us show you how our products can make these sessions work for you.